Dr. Smith originally began working as a receptionist at Animal Medical Clinic in 1982 while she was a freshman at the University of Arkansas. She graduated from Louisiana State University School of Veterinary Medicine in 1989. After practicing at a companion animal clinic in Houston, Texas for 6 years she returned to her hometown of Fayetteville to work at AMC. In January 2010 Dr. Smith became a partner with Dr. Mohler at AMC. Dr. Smith and her husband, Tom, have 3 children (Harrison, Julia, and Mason). Their pet family consists 4 cats (all of whom have extra toes), 2 dogs, and numerous chickens. Her outside interests include quilting, cooking and working with Fayetteville Lions Club. Dr. Mohler attended the University of Arkansas then graduated from Oklahoma State University School of Veterinary Medicine in 1976. He began working at Animal Medical Clinic in 1978. Dr Mohler purchased Animal Medical Clinic in 1983. Dr Mohler and his wife, Debbi, have 2 children ( T.J. and Jamie) and 2 grandchildren (Beckett and Emma). Their pet children include 2 dogs (Blu, an English Cream Retriever, Lucy, a Norwich terrier, and 1 cat (Wallace). In his spare time he enjoys announcing Fayetteville High School football and baseball games, gardening and working on his tractor. Dr. Huber was raised in Springdale and received her degree in Biological Engineering at the U Of A. She then earned her Veterinary degree from LSU in 2012. When she isn’t seeing patients, her hobbies include hiking, kayaking, and watching NFL football (Her favorite team is the Saints). She also stays busy caring for her pet family: 5 dogs, 1 cat and a corn snake. Dr. Habermehl was born and raised in Fayetteville. After high school she attended Milligan College In Tennessee. After graduating she went to Louisiana State University School of Veterinary Medicine. After graduating she and her husband moved to Las Vegas. She practiced in Las Vegas for 2 years before returning to Northwest Arkansas. In her free time she enjoys hiking, camping and relaxing by the lake. They have 2 fur babies: Emma and Penny. Dr. Belknap is a 1981 graduate of Kansas State University College of Veterinary Medicine. She worked at practices in West Virginia and Missouri before establishing New Hope Animal Hospital in Rogers in 1989, which she owned for almost 20 years. 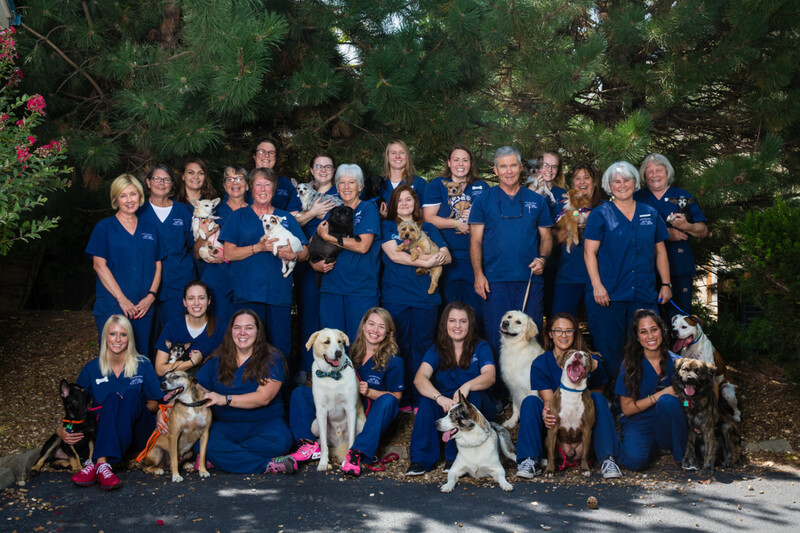 Upon selling the practice, Dr. Belknap has involved herself in her vast number of hobbies like gardening, canning, reading, cooking, and spending quality time with her own pets. She has been married since 1981, and is the proud mom of two...Kyle, who passed away from cancer in 2002 and Aaron who is working on his residency in pathology at Baylor in Dallas. Along with all that she works on a part time basis here at Animal Medical Clinic enjoying internal medicine and dermatology. Dr. Champlin was born and raised in Fayettteville, She graduated from Fayetteville High then earned a Bachelor of Science degree in Animal Science at Oklahoma State University. She continued her education at OSU Center for Veterinary Health Sciences earning her degree of Doctor of Veterinary Medicine in May. Lydia and her family have been coming to AMC for many years. She volunteered and worked at AMC before moving to Oklahoma for school. Her special interests include cardiology and advanced imaging techniques. In her spare time she enjoys hiking, camping, yoga and hanging out with her dogs.